Update: February 19, 2018. We published this HTC U11+ review last November, and while we liked a whole lot about the fancy flagship, it generated some controversy around the display and battery test results. The article was based on the only retail unit available at that time - the Taiwanese one - and while it should have been representative of the pack, we were not blind to all the doubt to follow. That's why we grabbed the European retail unit, repeated our tests, and, hopefully, we can now address those unresolved doubts. We have updated all sections of this review. For a summary of our findings, please refer to this article. 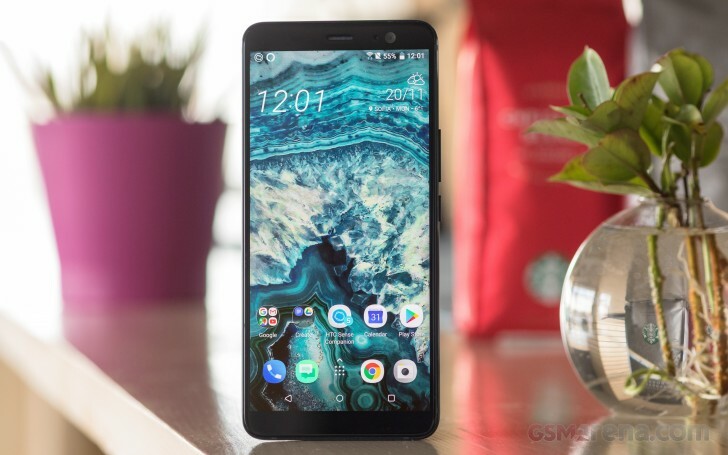 HTC U11+ could have been the Pixel 2 XL if Google hadn't chosen LG to make the device. And indeed, the two phones have a lot in common - a 6" widescreen, similar design, Snapdragon 835 chip, a high-end 12MP camera with big pixels and HDR Boost, rear-mounted fingerprint scanner, edge squeeze sensors, Android Oreo. But HTC has built on those feature with its own Boom Speakers, richer squeeze functionality, wider aperture for the camera and 3D audio capturing for the vids, a bigger battery, and jaw-dropping design, especially in its translucent version. 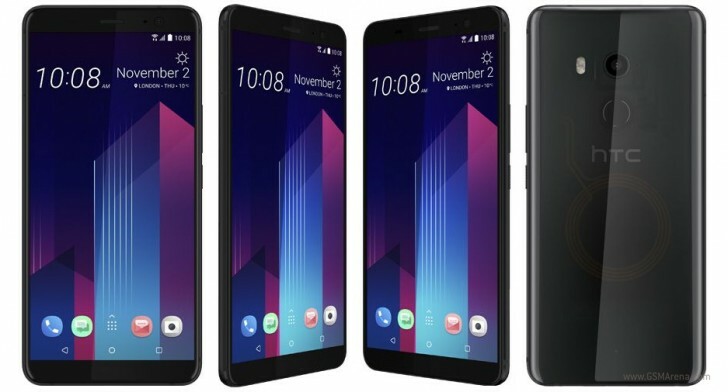 The 6GB RAM and microSD slot are welcome improvements, but we are yet to see if the Super LCD6 screen has what it takes to meet the flagship needs. The 100% DCI-P3 color space coverage and HDR10-compliance should help its case, that's without a question. So even if it weren't meant to become the next Pixel, the HTC U11+ is certainly no underdog, and better yet, it has the dog tags of a fighter. The audio jack is gone for good at least as far as HTC is concerned and that's plenty clear if you look at their recent phones. The U11+ is yet another smartphone to drop it from the specs list, but at least it got a water-tight IP68 body to show for it. But there is one trendy feature the HTC U11+ omits - simulated bokeh effects for either of its cameras. Even though the U11+ has top of the line sensors, you won't get bokeh shots. And HTC was the first to offer them on the market even before it was cool. Despite those omissions, HTC seems to have done a fabulous job and the U11+ is shaping as one of the most beautiful smartphones this season, squeezable at that. And with the holiday shopping craziness just around the corner, we can't wait to see if the U11+ is another gadget making it to our wish lists. Body: Gorilla Glass 5 on the front and back, metal frame. The "Liquid Surface" design on the rear is 3-axis curved glass and changes hues under light. It's IP68 water-resistant.